If you’re going to be wearing your shoes all day, you might as well make sure they’re comfortable. There’s nothing worse than slipping on a cool new pair of heels only to find that you’re hobbling around in them 20 minutes later. Curious to find out the very best shoes for standing all day, we reached out to podiatrist Brian Dawson, DPM, for his expert advice. While he admits that “it can be hard to make a sweeping generalization about shoes, since so much of it has to do with our personal biomechanics” and suggests that “anyone with chronic foot issues see a podiatrist for a full biomechanical exam,” he was able to offer some general rules to follow. The most surprising thing we learned is that flats and sneakers might not be as good for us as we thought. In fact, shoes with a low heel are the ones he recommends most. Go on to find out more about his recommendations and why you might want to skip your ballet flats. WHY SHOULD WE AVOID FLATS AND HIGH HEELS? “Flats tend to be very unsupportive with little protection/cushioning for our bones, and the more flexible a shoe is, the more work it forces our joints to do, which can lead to pain along the top of the foot. We may have tolerated that as cave people, but the human body in 2017 has evolved past the point of benefitting from being barefoot for the most part. 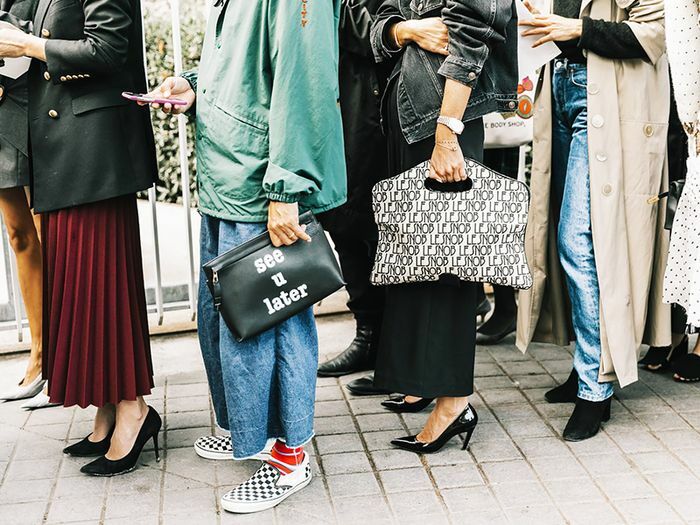 Now go on to shop for our favorite low-heel shoe styles—the best shoes for standing all day. Wear these with everything from trousers to miniskirts. The shoes of the season. The perfect weekend shoe style. 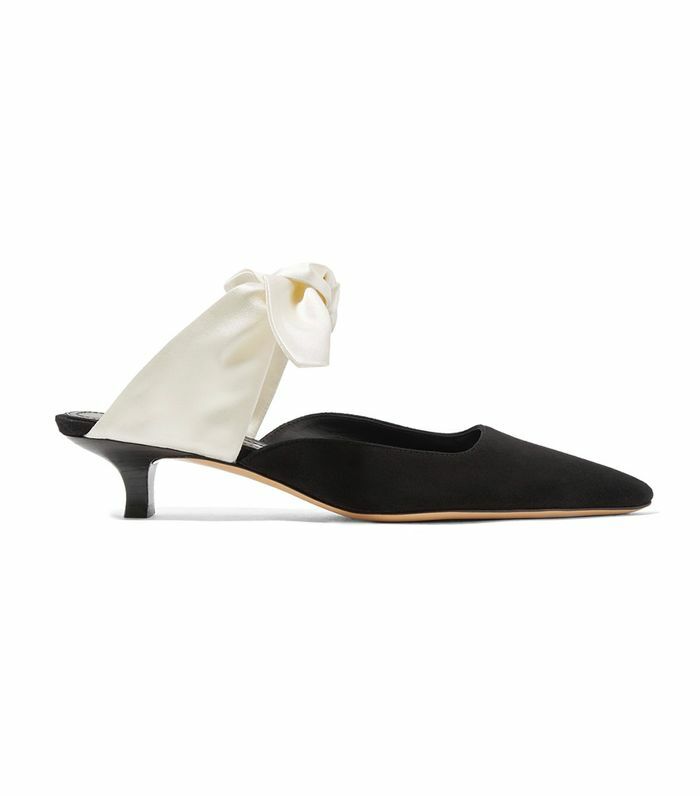 We're predicting faille shoes will be everywhere. We love the croc-embossed heel. Pair these with a long dress. We love the metallic silver. Embellished with a bow detail. We love the woven details. Next, read about the new "naked" trend we'll be seeing next season.